24/7 Emergency Services, Estimates, ANYTHING CAN BE "Like it never even happened." At SERVPRO of South Worcester, our crews are ready to be dispatched to your home in case of an emergency, 24 hours/7 days a week! 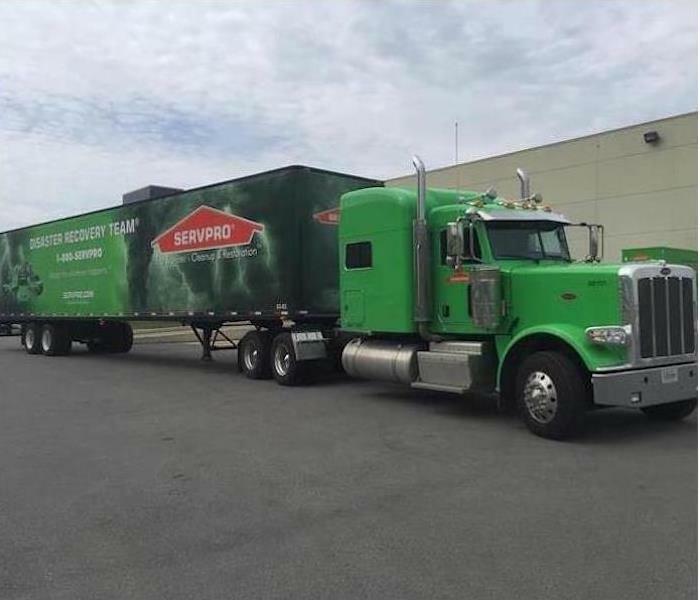 These professionals can be seen on highways, side roads, etc., in these beautiful, green, SERVPRO trucks! SERVPRO of South Worcester is HEROready this winter season with the IICRC Training, and top of the line emergency service training. For all of your home restoration needs, be smart think green! SERVPRO of South Worcester is skilled in all areas of restoration, including storm damage. In this case we received a phone call from a Worcester resident about a bad storm flood to his garage. Mud from his backyard had been tracked in with the amount of water with about a little over a foot of standing water. SERVPRO was there! Starting with extracting all water and sludge, we move on to place all types of drying equipment to keep mold growth from starting. 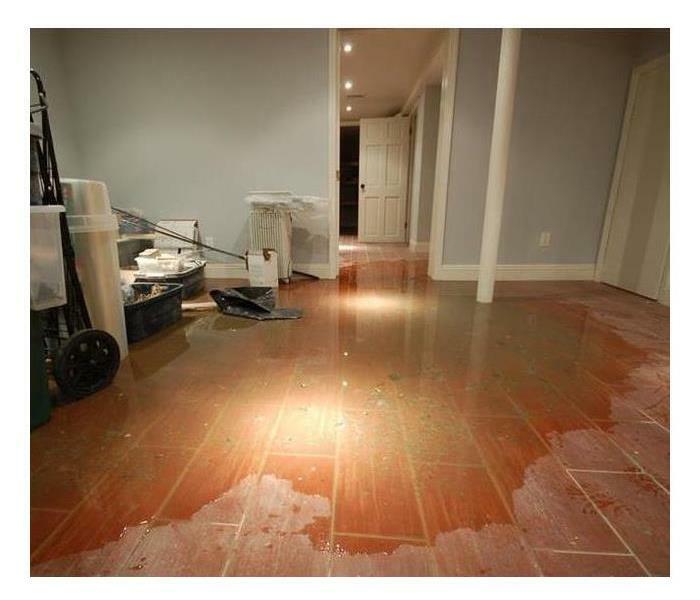 SERVPRO of South Worcester is the obvious professional to let fix any disaster. Call us! (508)757-7885. Built up of moisture under carpet and padding, both could not be salvaged. 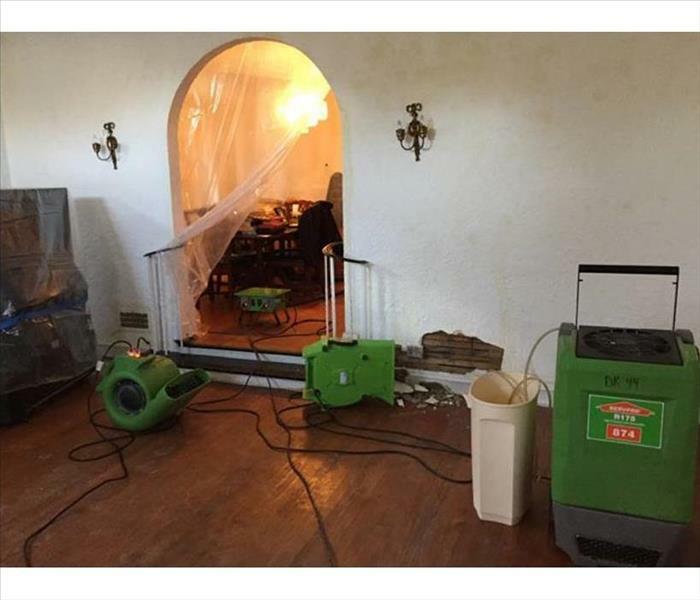 But SERVPRO of South Worcester remediated any water damage, and gave our customer excellent service! Choose SERVPRO of South Worcester for all you home restoration needs! Call us! (508)757-7885. Strong, straight-line winds can cause havoc to commercial sites in South Worcester disrupting business. When work is at a standstill, client fulfillment goes unanswered. Rely on SERVPRO to quickly help clean up the storm-damaged interior and get our office humming once again. If your home or business has mold, SERVPRO of South Worcester is here to help. Pictured is a certified HEPA air scrubber that is designed to clean harmful mole spores from the air. 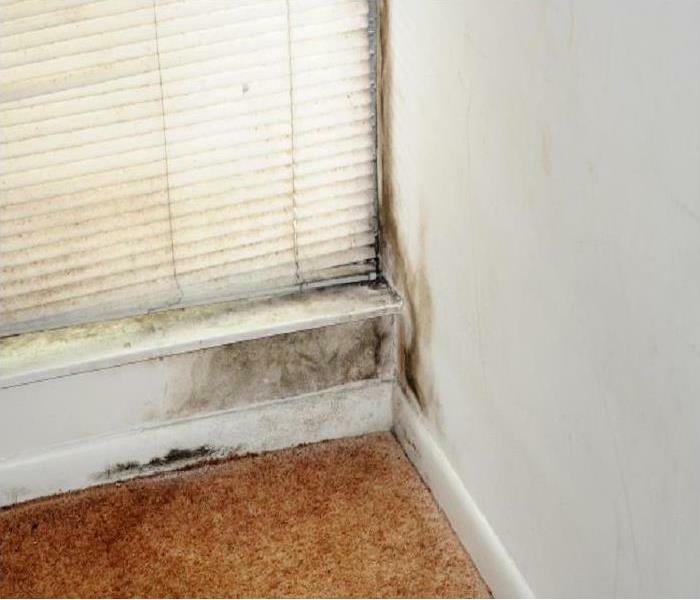 If you suspect mold, please do not hesitate to call us at 508-757-7885. 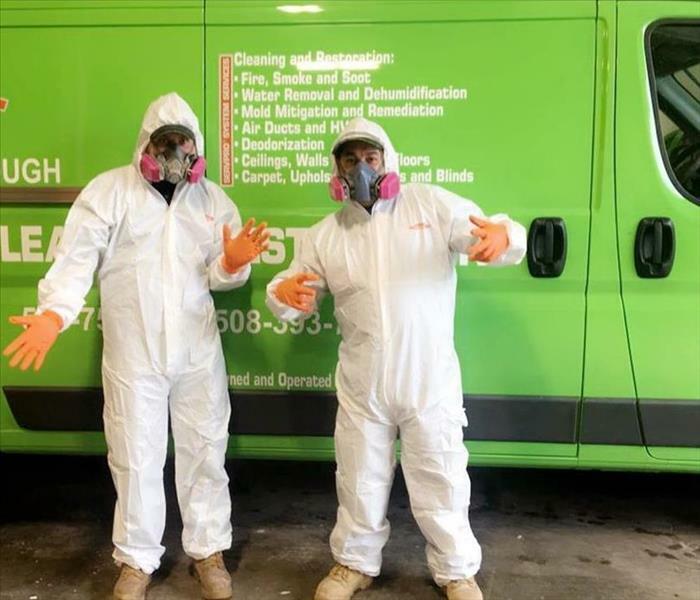 When your commercial business needs fast, prompt water restoration service, you can count on SERVPRO of South Worcester to be there to assist. We have experienced technicians and top line equipment to take care of all your restoration needs. Any questions, please call us at 508-757-7885. 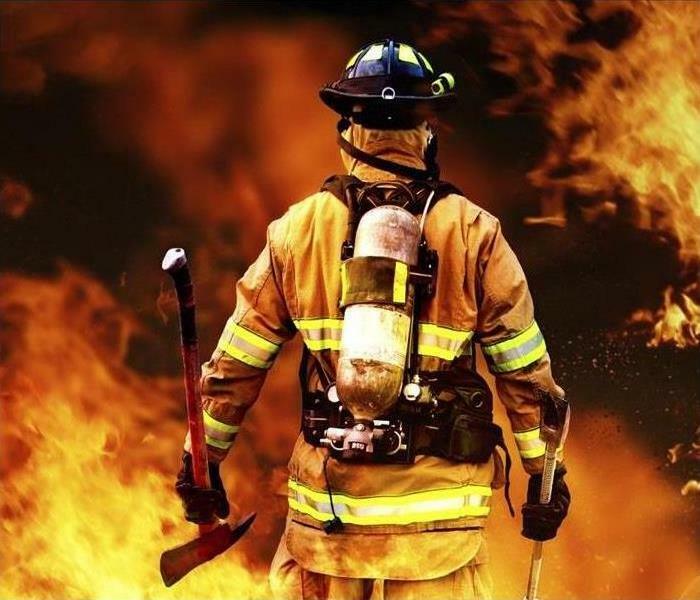 When your business needs restoration from unexpected fire, water or mold damage, SERVPRO of South Worcester is prepared. SERVPRO has professional cleaning products to get the job done right. We have 24/7 emergency services available to your business. Please call us at 508-757-7885. SERVPRO of South Worcester has moved into a new space in Worcester. This new location is double the size of our previous location and allows for the proper response to our customers needs. We can respond with mitigation services for fire, smoke and soot. SERVPRO can also provide contents claims inventory and document restoration. SERVPRO of South Worcester has the knowledge, equipment and highly trained technicians to take of your mold problems. 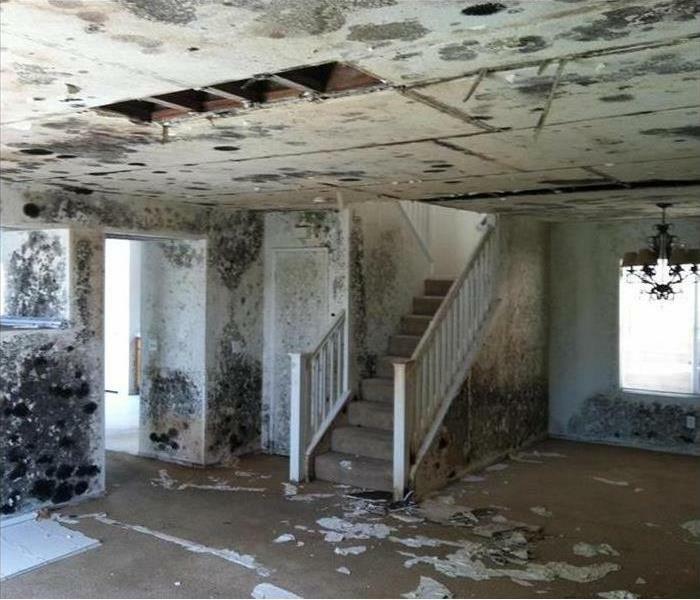 If not taken care of mold can cause indoor environmental issues and health problems. 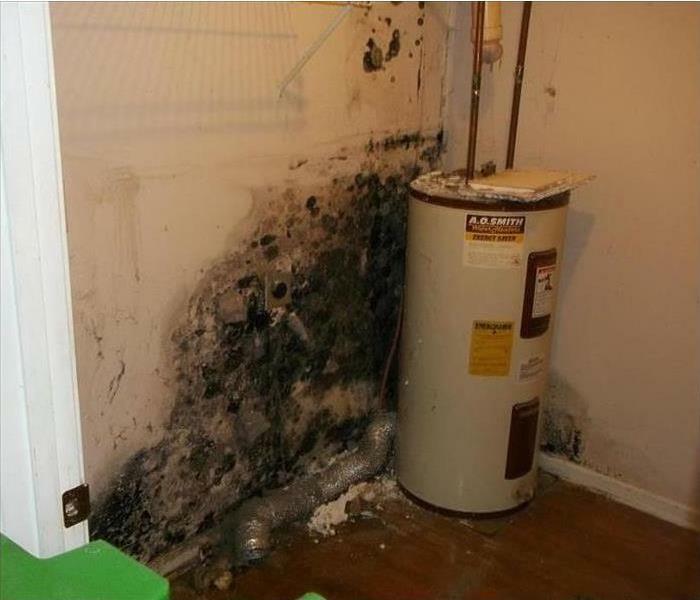 If you suspect mold, call SERVPRO at 508-757-7885. We Have The Experience To Help Cleanup Your Storm Damage! Pictured is SERVPRO of South Worcester’s Senior Production Manager Wally Gagne. Wally has the experience and knowledge to make sure his technicians give you the best restoration services. SERVPRO is available 24/7 for emergency fire, water, storm and mold services. 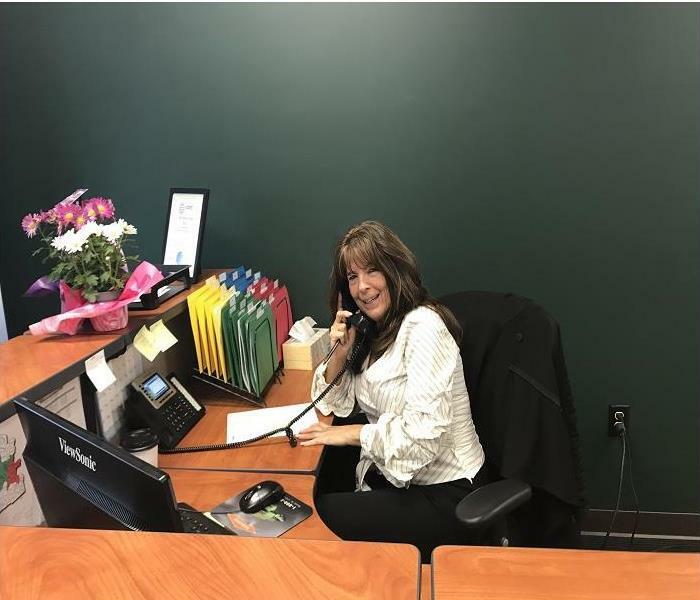 If you experience water damage from a spring storm, Donna Calderone at SERVPRO of South Worcester is there to help. Donna can schedule an estimate and answer all your questions about the restoration process. Please call SERVPRO at 508-757-7885. Drying Equipment Ready to Go! When a storm rolls in you can be sure SERVPRO of South Worcester will be there to help. 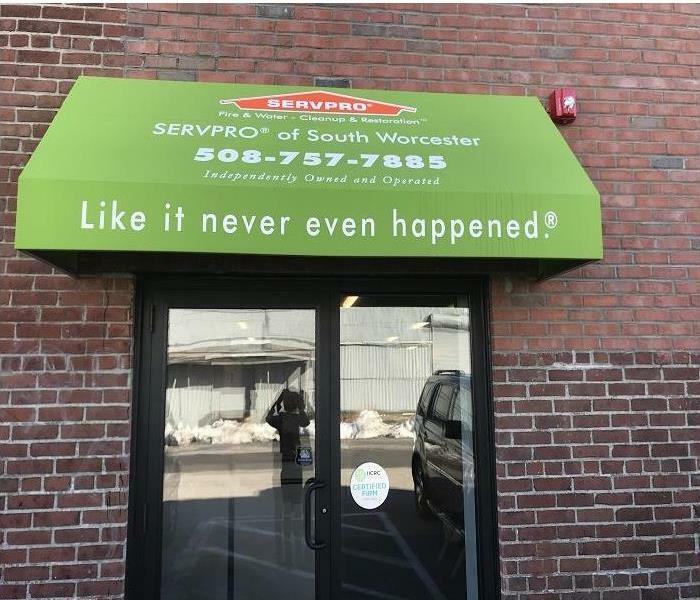 SERVPRO of South Worcester has the equipment, experience and qualified technicians to get your home or business back to normal. SERVPRO of South Worcester is locally owned and operated. Call us at (508) 757-7885. 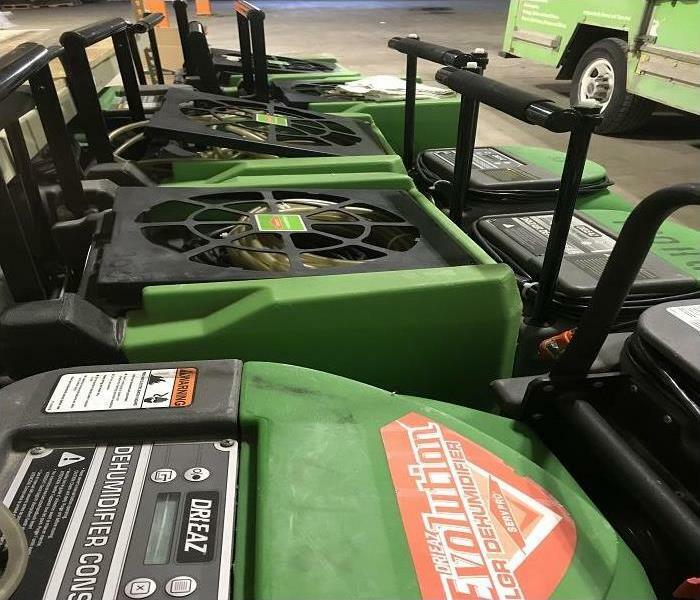 SERVPRO of South Worcester is proud to continue our efforts, alongside the resources from our disaster recovery team, to aid UMass Medical School in recovery. The garage fire suffered on 1/17 left behind immense amounts of soot and debris. We are pushing through tirelessly to bring the facility back to preloss conditions. We are always Here to Help! SERVPRO of South Worcester was called into a local University for a complete kitchen clean out in one of the campuses dining halls. The fire suppression system in the kitchen hoods was discharged accidentally, which contaminated much of the kitchen equipment. 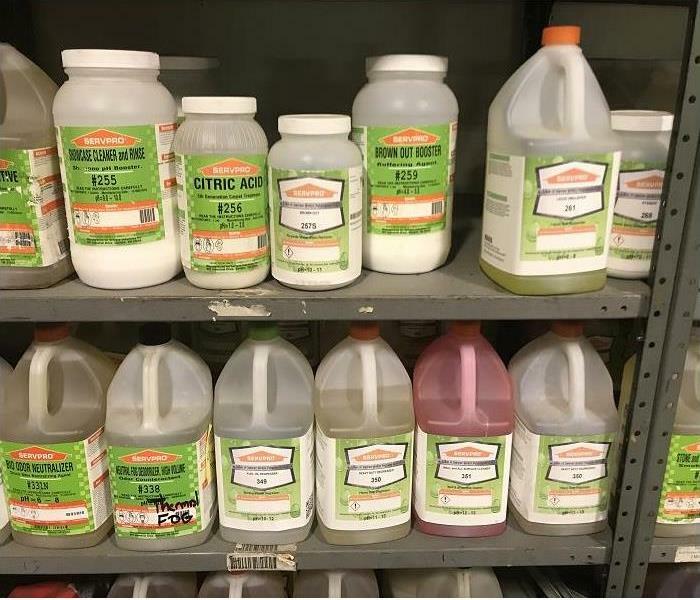 SERVPRO of South Worcester is not afraid to get down and dirty and clean equipment like industrial fryolators, ranges, and mixers! SERVPRO of South Worcester responded to this loss immediately, and was able to clean and sterilize the entire kitchen in time for the school’s weekend event which fed nearly 3,000 hungry people. This house in Worcester was a failed investment taken over by a bank. SERVPRO contracted to demolish the mold infested structure, remove the debris and then disinfect the shell. The discarding of the contaminated mold elements was done according to EPA and local codes. 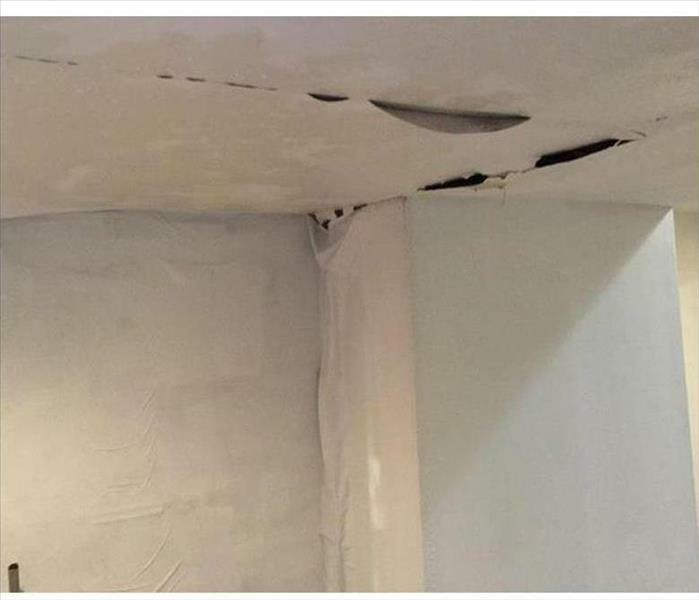 A leak caused water damage to this plaster and lathe wall and hardwood flooring in this Cherry Valley house. 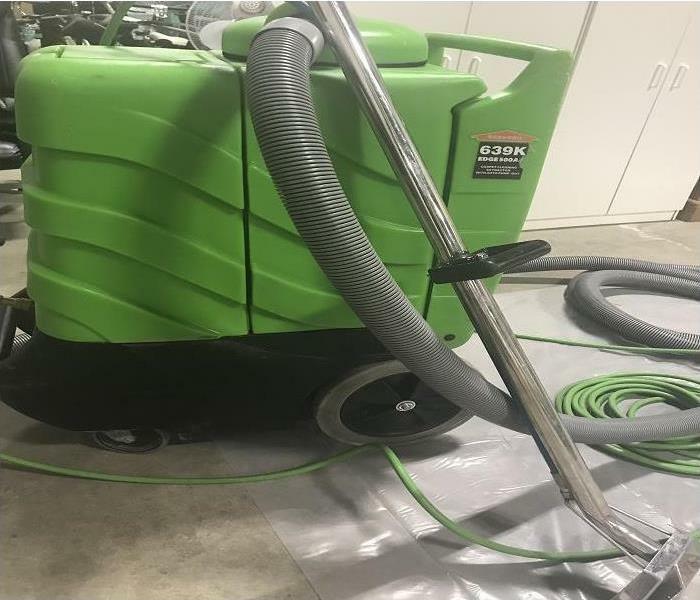 Our SERVPRO equipment quickly extracted the moisture and minimized the damage. We contained the moisture removal to the two affected rooms with the use of barriers. Storm damage in Worcester often creates power outages. 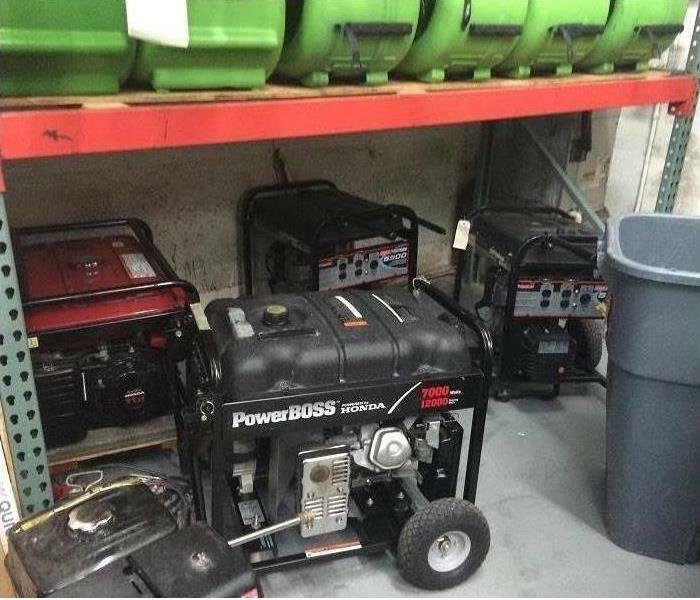 When SERVPRO of South Worcester is called to cleanup storm damage, they are equipped with a variety of portable generators to power the equipment they need to mitigate your disaster. 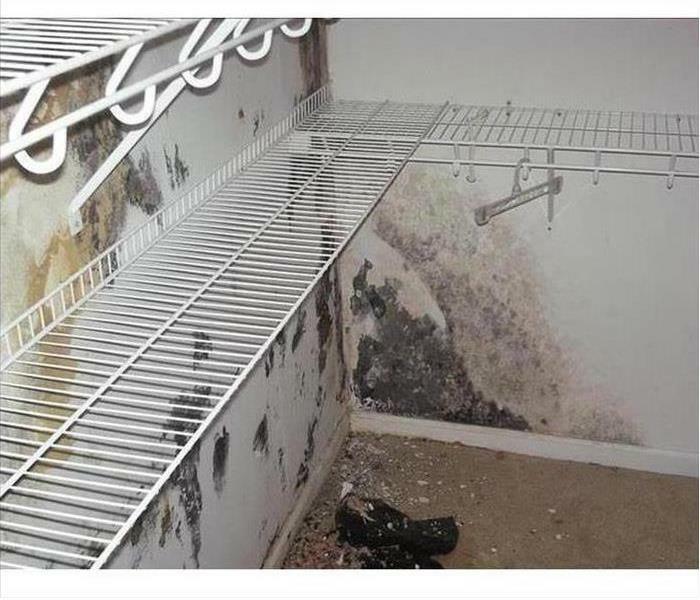 Mold damage resulted in this Worcester closet due to poor ventilation which led to moisture buildup and the spawning of a large mold colony. When mold damage is this severe demolition of the damaged area is preferable as it allows for better treatment of the affected area. 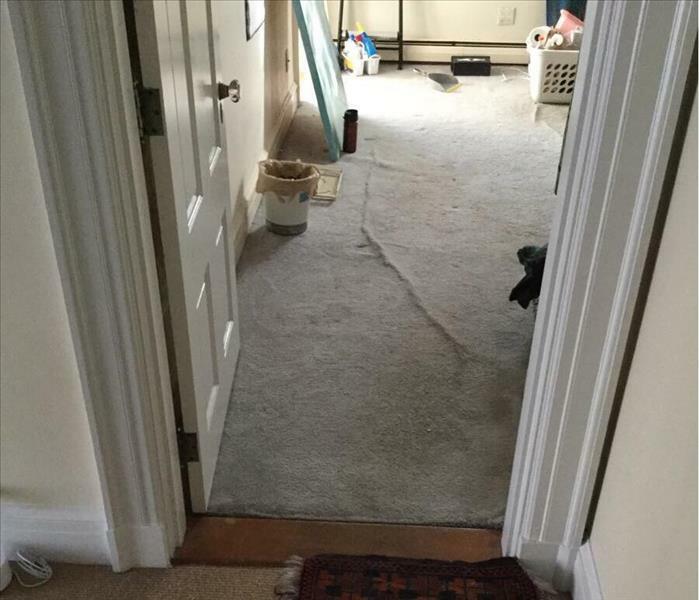 Water damage in Worcester cannot always be seen with the naked eye. 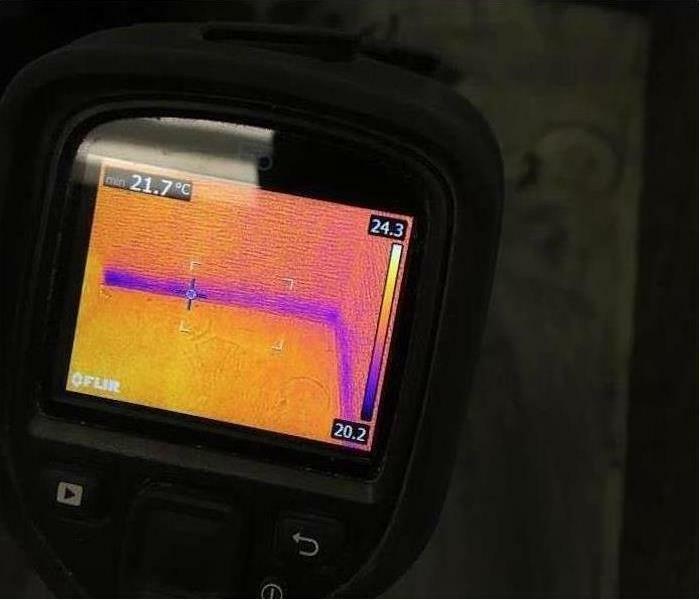 To discover the extent of water damage and to monitor the drying process SERVPRO of South Worcester uses hi-tech infrared cameras. Fire damage at this Worcester home began as a grease fire on the stove top. Grease fires produce a great deal of soot and smoke damage because grease fires burn so hot. 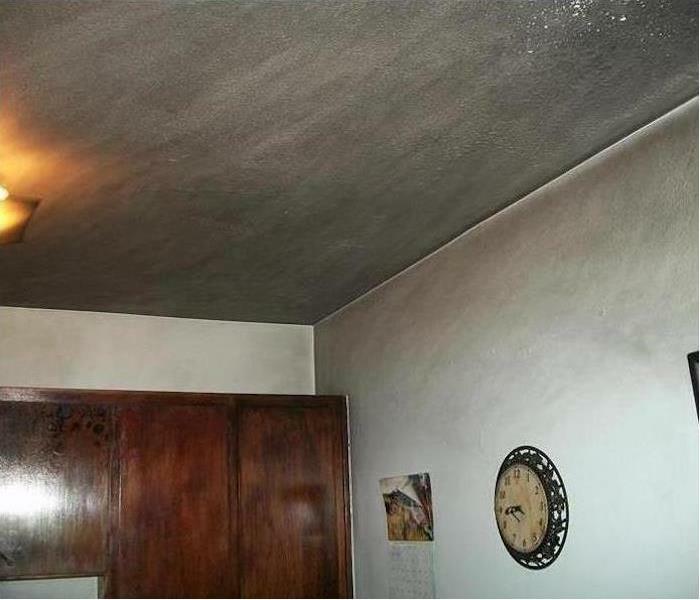 The ceiling shown in this picture shows the result of the soot on the affected area. 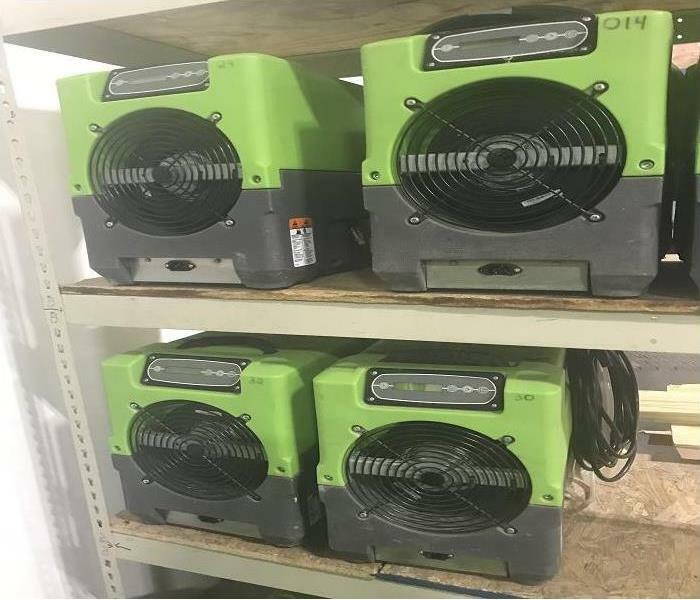 Our large array of drying equipment including air movers and LGF low grain refrigerated dehumidifier quickly vanquished the remaining moisture from this manufacturing plant in Cherry Valley. 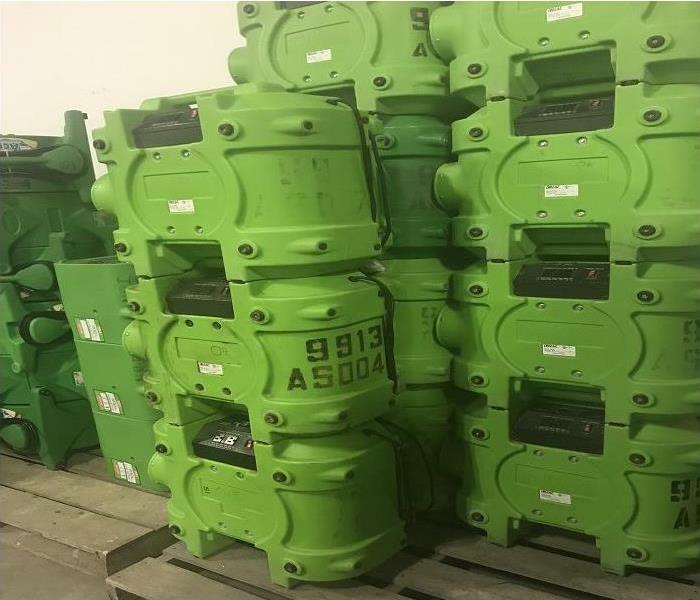 We protected the equipment from water damage and allowed production to get back up to speed swiftly. The mold ruined this shower stall in Worcester requiring a full demolition of the walls, tiles, and shower tray. More cleanup is needed before this can be reconstructed and used again. 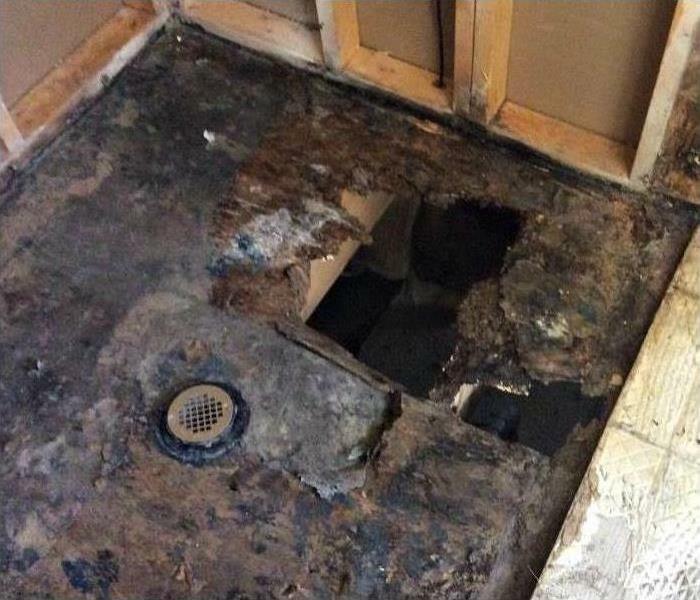 Call SERVPRO for help. 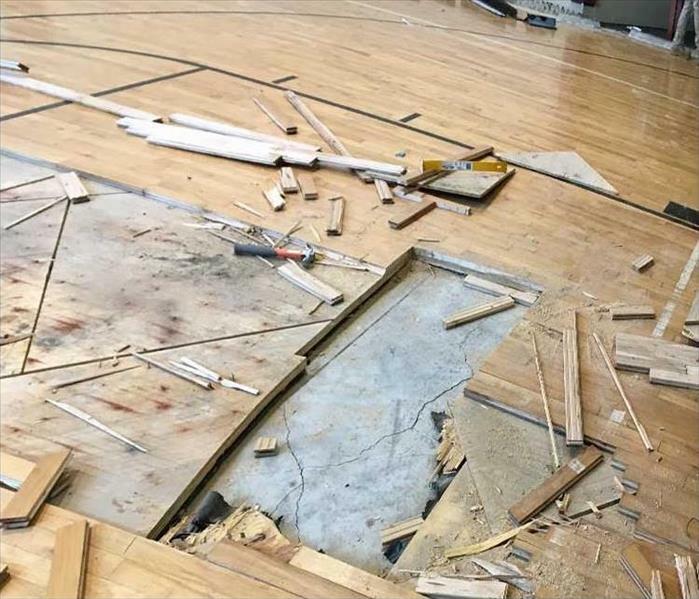 The school gymnasium floor was soaked with water from a storm that circulated water and soaked into the hardwoods. Demolition is needed when portions cannot be salvaged, though the fast action of water removal does mitigate the extent of the damage. 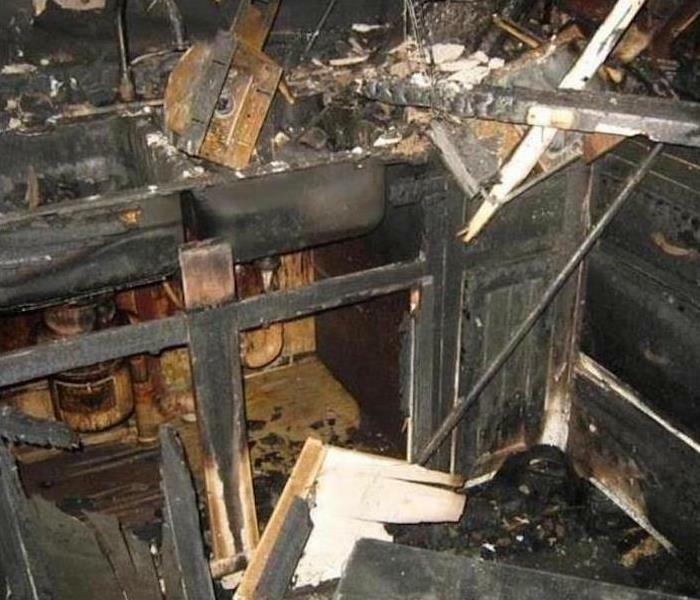 Fire damage to this Worcester kitchen is an example of the most severe result of a grease fire. The kitchen was totally destroyed. SERVPRO was called upon to tear out the fire damaged elements of the room and mitigate the soot and smoke damage before rebuilding the kitchen. This parking garage in Cherry Valley suffered a water leak resulting in the paint peeling from the ceiling and the walls. 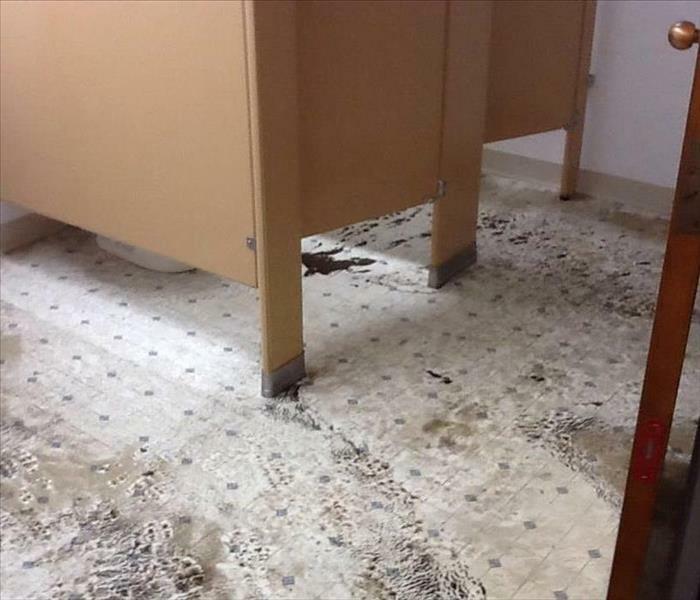 The service conduit was also wetted. We Removed the remaining water, scraped off the hanging debris, and finished the drying with our equipment. Commercial water damage can take on epic proportions in Worcester. 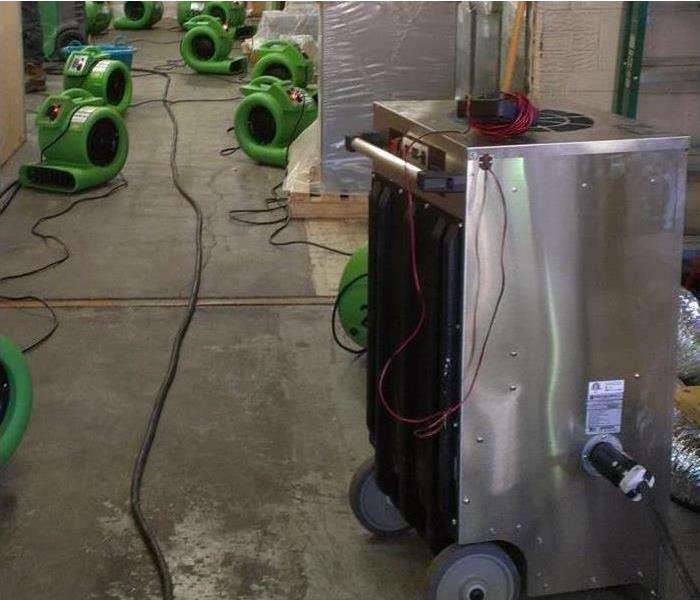 SERVPRO franchises are ready to respond immediately with specially trained Disaster Recovery Teams. Semi tractor trailer trucks are packed and ready to respond 24 hours a day. Some of our team members are at corporate headquarters in Gallatin, TN this week to attend IICRC Commercial Drying Class training. 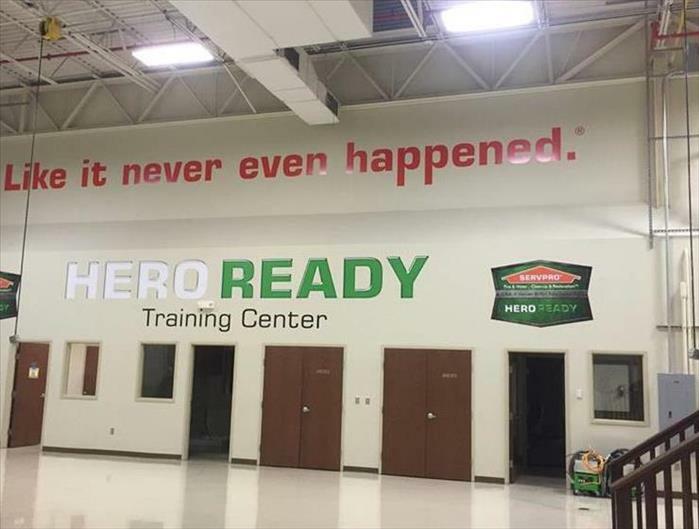 Our staff is highly trained including ongoing training at SERVPRO’s Corporate Training Facility to regular IICRC industry certifications. If you suffer water, fire or mold damage in the Worcester area, you can be confidant that our local team of professionals have the knowledge and equipment to restore your residential or commercial property. 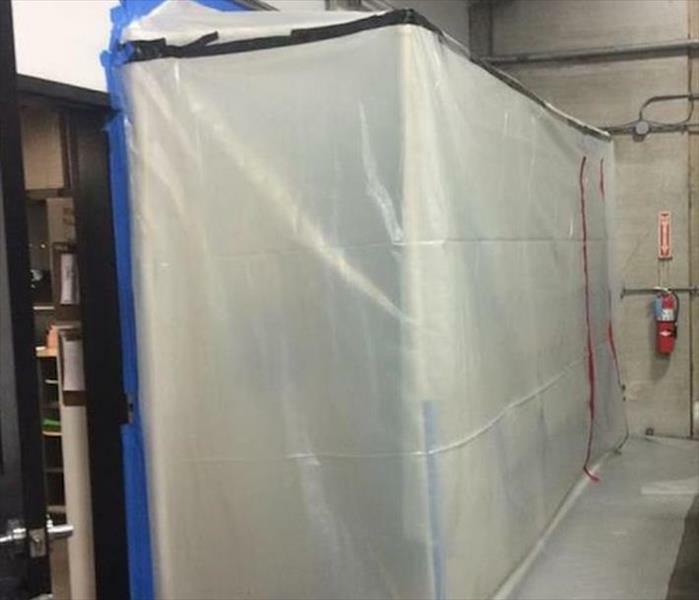 The containment structure was to prevent mold spores from migrating to other areas of the open factory floor in Worcester. We employed HEPA filtration vacuum systems to help with the control of the spores. The exhaust system of the plant was turned off during the mold remediation to preserve the fungi free zones of the building further. 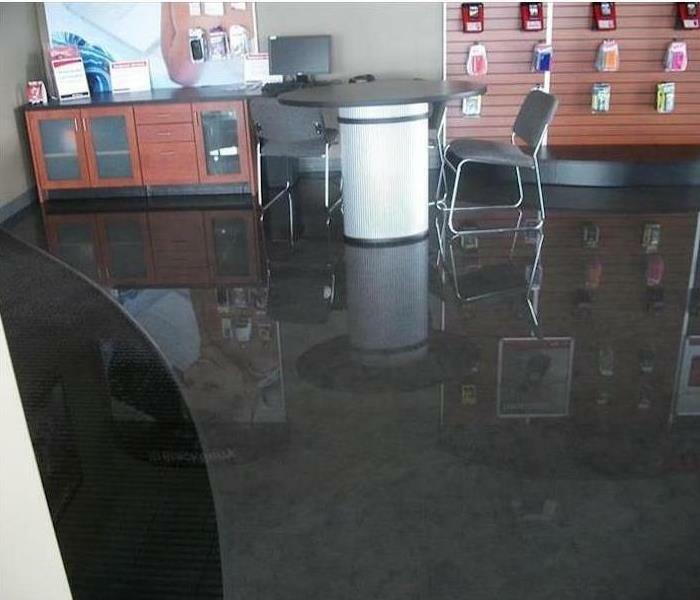 Water damage to this Worcester phone store occurred due to a leak in the roof. 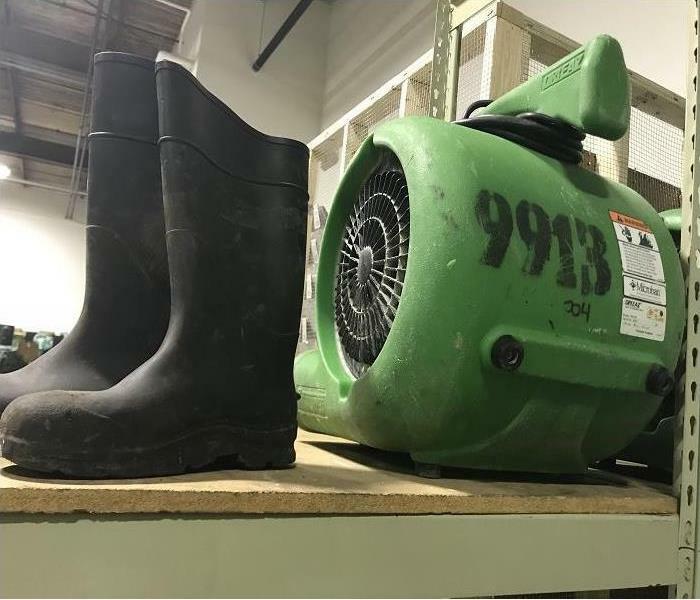 Several inches of rain fell during a prolonged storm, and the store became flooded. SERVPRO was brought in to clean up the water. We came equipped with sufficient water removal equipment and trained staff to operate the equipment. 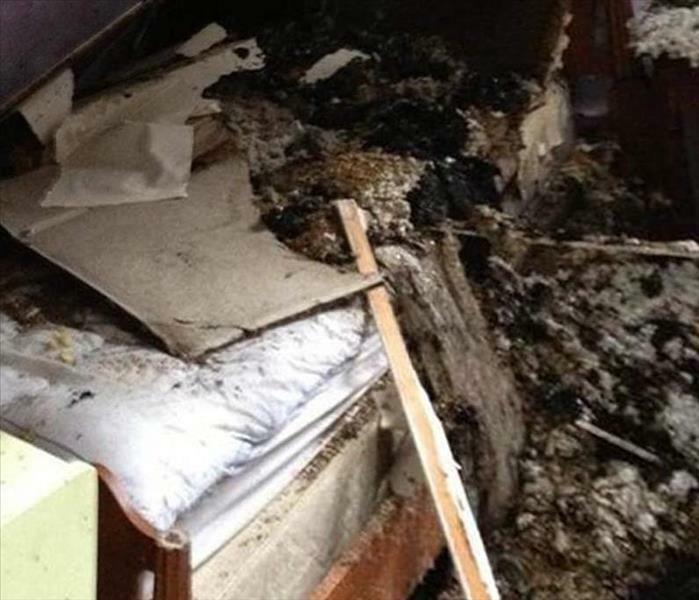 If water damage affects your home or commercial facility, call SERVPRO of South Worcester 24/7 at (508) 757-7885. We proudly offer 24-hour emergency service. The open windows in this room allowed a driving storm to flood the floor with standing water. 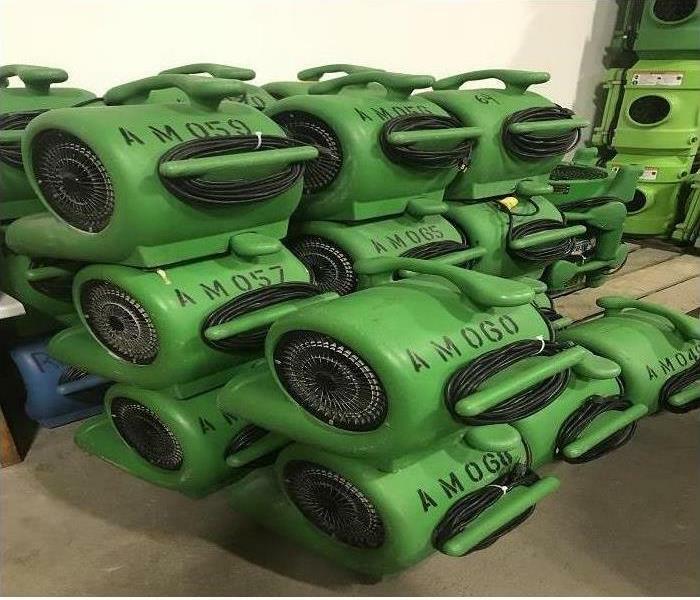 The homeowner called us immediately and we suctioned up the pooling water (1 inch high), and placed dehumidifiers to capture the remaining moisture that was circulated by the powerful air movers. Our WRT, Water Damage Restoration Techs, got the job done and the happy homeowner was pleased that he did not have to replace his wood flooring. Rely on SERVPRO of Shrewsbury/Grafton by calling (508) 393-7898. 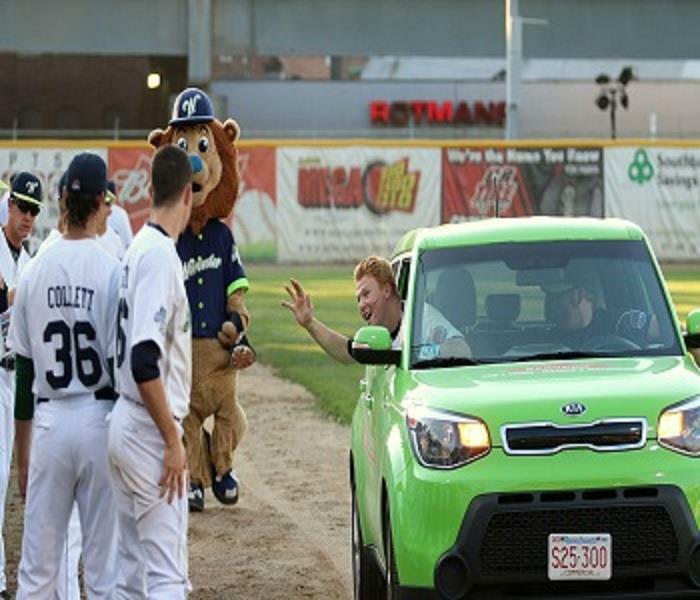 SERVPRO South Worcester's "Clean Up" car is featured at many of the Worcester Bravehearts games. SERVPRO South Worcester is a proud sponsor and supporter of the Worcester Bravehearts baseball team! Be sure to give us a wave the next time you are at a game! 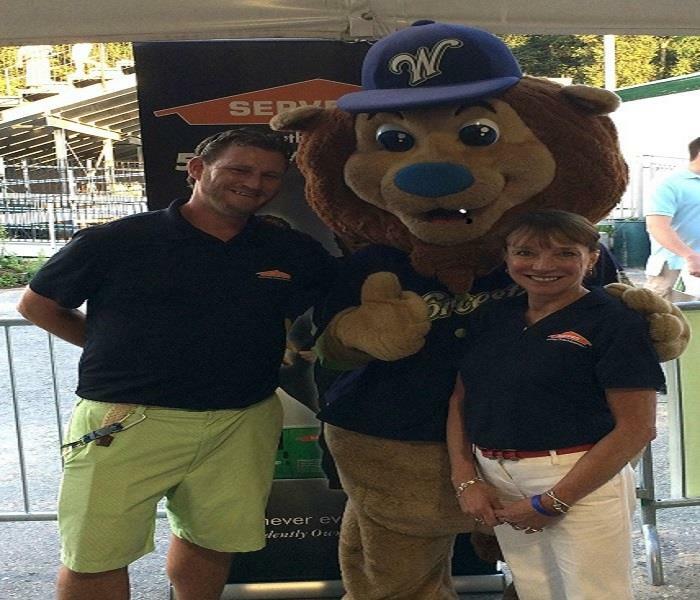 Worcester Braveheart fan pictured with Jake the Lion at SERVPRO's cookout on August 3. The event took place at Holy Cross College. 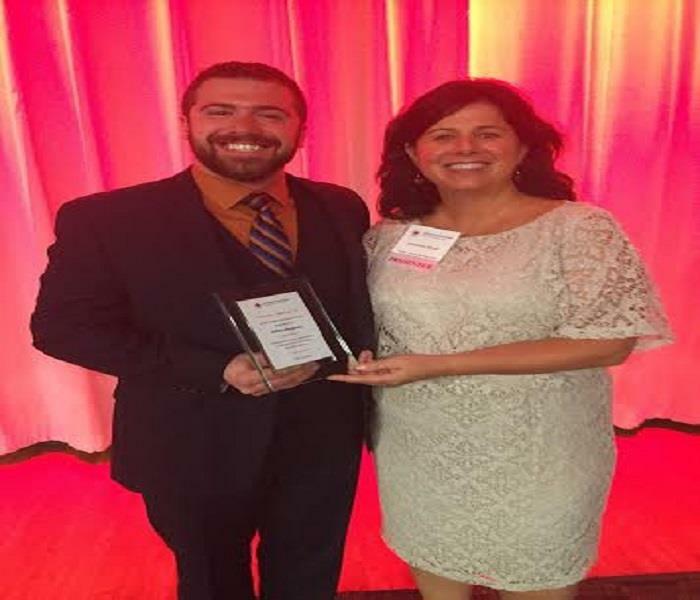 In this photo our Marketing Representative Andrew Cooksey and our Marketing Manager Sandy Fitzpatrick are posing with Jake! 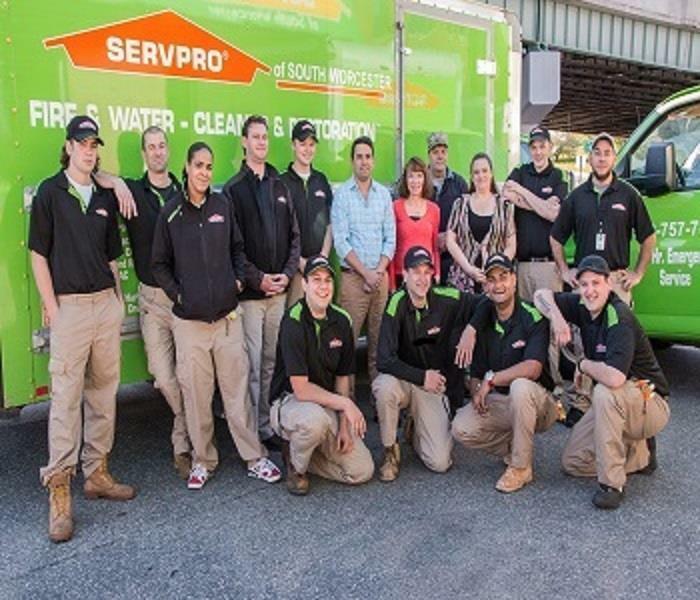 SERVPRO South Worcester's highly trained and experienced team is ready for all of your restoration needs. 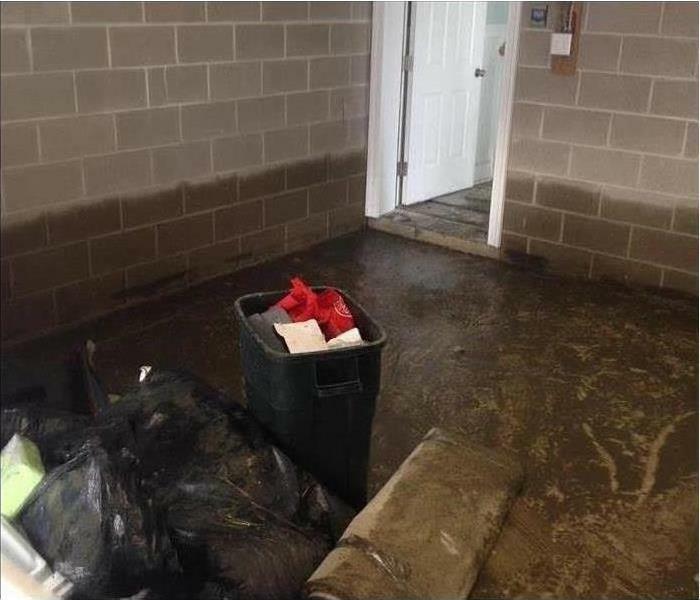 Our employees are certified in Water Damage Restoration and trained in the latest cleaning techniques. Be sure to give us a call today! 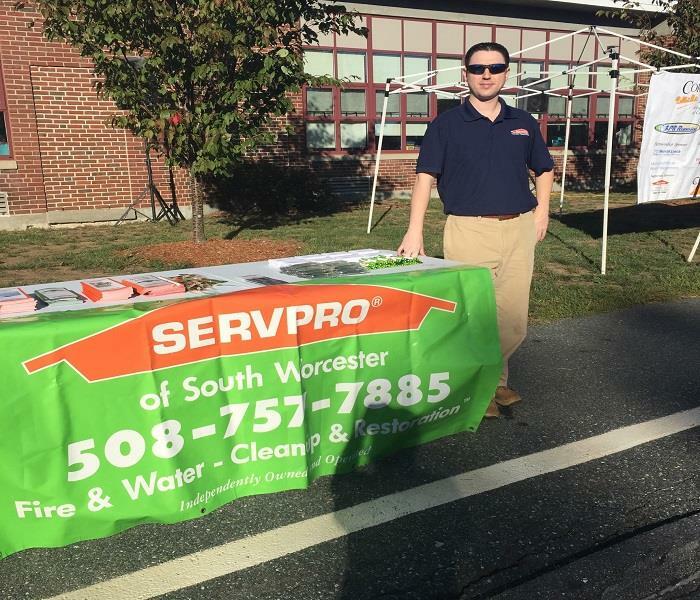 SERVPRO of Shrewsbury/Grafton was a proud sponsor of the 23rd annual Applefest 5K walk-run race and new kid's adventure race. 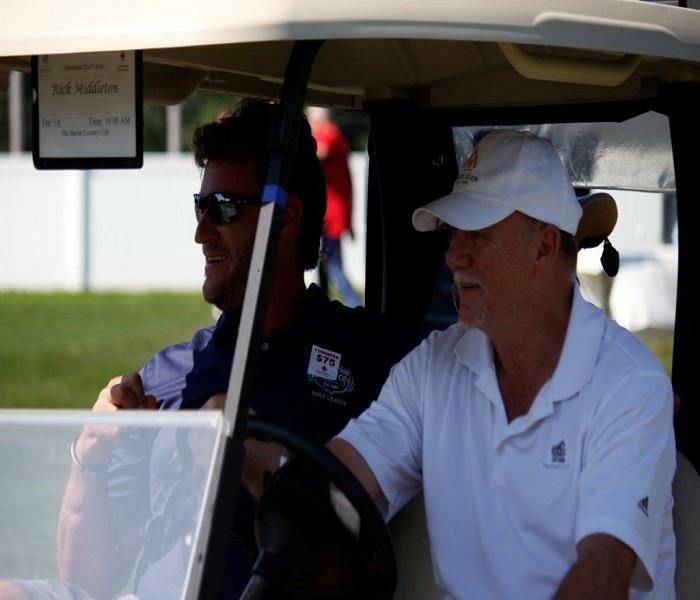 The event was held on September 17th. 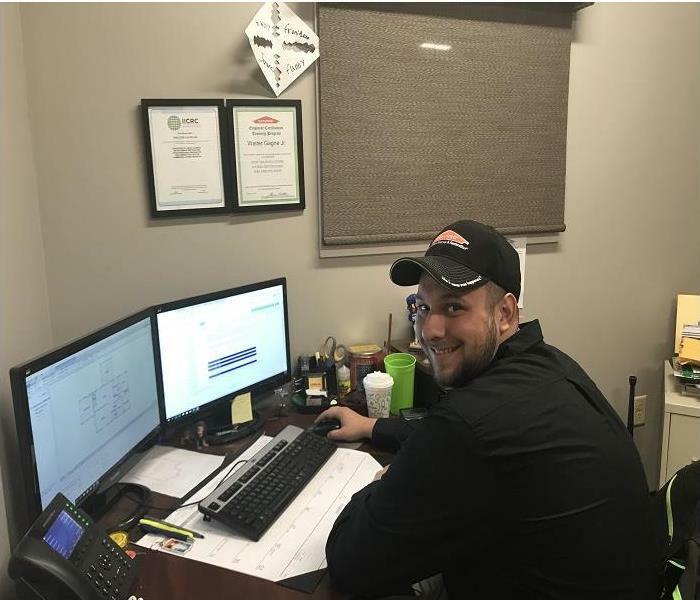 Pictured is Adam Sinclair who is SERVPRO's Marketing and Sales representative in the greater Shrewsbury/Grafton area.